TMSC will start 28nm tape outs in the second half of 2011, followed by an increase in the third and fourth quarters. Globalfoundries is expecting to receive 28nm tape out data from the first customer later this year (April to June) and will start small lot production of the 20nm node in the second half of 2012. 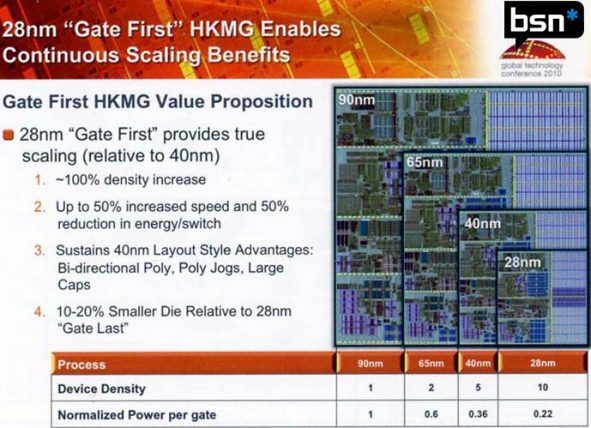 As for 20nm test chips, they should see the daylight in the second half of 2011.